The NAACP released its 2018 midterm election survey on Tuesday, revealing a series of questions about President Donald Trump’s alleged racism. Former NBA player Dennis Rodman says he wants to introduce rapper Kanye West to North Korean Dictator Kim Jong-un during his next trip in September. President Trump just became the Nobel Peace Prize committee’s worst nightmare. 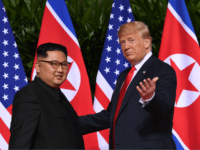 As he didn’t neglect to remind us in his hilarious post North Korea summit press conference, President Trump just saved maybe 30 million people from nuclear annihilation. 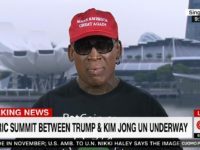 Former basketball and reality TV star Dennis Rodman told CNN’s Chris Cuomo Monday evening that the White House had called him to thank him for his role in advocating for diplomacy between North Korea and the U.S.
NBA star Dennis Rodman, who has cultivated a closer relationship to North Korean dictator Kim Jong-un than any other American in the world, broke down in tears on CNN describing the death threats he claims to have received for advocating peace between Pyongyang and Washington. “I like him. He’s a nice guy. But he’s not invited,” Trump told reporters in the Oval Office. The White House suggested on Thursday that Dennis Rodman should not be part of the upcoming President Donald Trump summit with North Korea in Singapore. 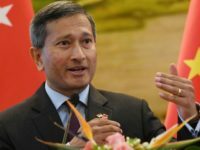 Singapore’s foreign minister will visit North Korea from Thursday ahead of the upcoming summit between President Donald Trump and Kim Jong-un. With relations seeming to thaw between North and South Korea, former NBA star Dennis Rodman says he wants credit for bringing the two nations together. 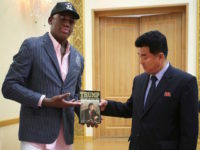 Former basketball star Dennis Rodman, best known in the 21st century as North Korean dictator Kim Jong-un’s most outspoken friend in the Western world, claimed on Monday that Kim had a “change of heart” about his nuclear program after reading President Donald Trump’s 1987 book, Trump: The Art of the Deal. 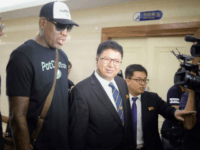 Los Angeles (AFP) – Dennis Rodman, a five-time NBA champion and sometime buddy of North Korean leader Kim Jong Un, was sentenced to three years’ probation on Monday after admitting drunk-driving. 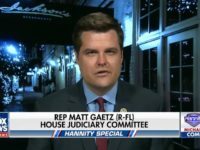 “Well done, President Trump. 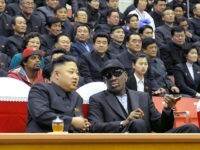 You’re on the way to a historical meeting no U.S. president has ever done,” Rodman told the Associated Press. 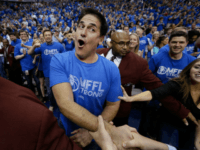 While his head coach may not be a fan of LaVar Ball, Mavericks Owner Mark Cuban is apparently all in. 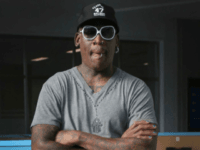 Sept. 6 (UPI) — Dennis Rodman has detailed his friendship with North Korean leader Kim Jong Un and the activities the pair take part in when the retired basketball star visits the country. “I basically hang out with him all the time, we laugh, we sing karaoke, we do a lot of cool things together,” Rodman said during an interview with ITV’s Good Morning Britain. 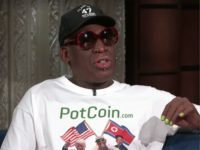 In an interview with DuJour, former basketball star Dennis Rodman praised North Korean dictator Kim Jong-un for his alleged success in modernizing the nation. 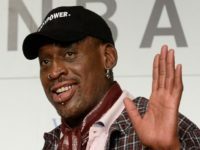 Former Chicago Bulls player Dennis Rodman is facing a backlash among basketball fans for his controversial support of North Korean dictator Kim Jung-un. 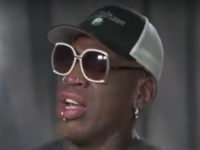 Rodman’s visits to the communist nation sparked a petition to have him cashiered from the Basketball Hall of Fame.